MOSAIC LAND DESIGN is a landscape architecture and construction firm specializing in artfully composed gardens and landscapes for a wide range of clients. Our work defines outdoor space as a mosaic of interactions between form and texture, art and utility, nature and human habitat. We approach each new commission with the intent of developing unique solutions for each client and property. We are a professional company with a personalized approach to custom home design. We bring a highly refined sense of design and attention to detail to all of our projects resulting in a residence that distinguishes itself from the ordinary. We are dedicated to the pursuit of excellence in design and craftsmanship, while committed to serving the needs of our clients. The wide variety of style exhibited in our work, illustrates our dedication to working in harmony with our clients ideas. We bring a highly refined sense of design and attention to detail to all of our projects resulting in a residence that distinguishes itself from the ordinary. We design timeless architecture that embraces the lessons of the past & engages the ever-evolving challenges of the present. We are LEED Certified specializing in sustainable design. Over the past 33 years, Copeland Architecture & Construction has become an award-winning leader in the design-build residential market providing clients an enjoyable custom home experience in new and remodel construction. More recently, Copeland has gained a reputation for intuitive and responsive commercial design services in office, retail, tenant improvement and hospitality projects throughout the Northwest. Our most important design consideration is the client. Our entire design objective is the most positive design of a facility that fully meets the client's unique needs and desires. We are an award winning architectural design firm with over 30 years of experience. 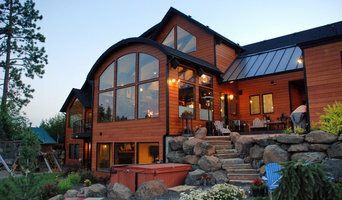 We provide thoughtful, site inspired architectural design, and specialize in Passive House and Net Zero Energy design. Our intention is for our clients to enjoy a highly productive and gratifying experience they will remember with favor in the years to come, having solved immediate challenges even as they create a meaningful and valuable legacy. Each project is a unique opportunity informed by the context of the land and client needs, aspirations, and priorities. We aspire to make the very most of it. We welcome clients who will challenge and empower me to do my best work. For them, we respectfully deliver well-researched and conceptually substantial design work with attentive service. We see our ultimate potential for long term success founded on deeply satisfied clients. With over 20 years of experience, I have designed custom homes and remodels of various architectural styles, each responding to the unique needs of the client, budget, and site. We’re passionate about designing people-loved builder-friendly homes. We love what we do and we'd love to help you design your home. Home, which is exactly, you and your family always dreamed of. Home that is easy to build, yet is beautiful and functional, and will be in a hundred years. We offer professional service, fast turn-around time and accurate drawings - permit and construction ready. Call or email for more info or check out our website, where you can also browse through vast collection of our stock plans. Christopher Morlan Architect provides full-service Commercial and Residential Architecture and Design Solutions. Melding minds, moving forward. Hendricks Architecture is a full service architectural design firm that focuses on residential architecture. We've built a reputation for excellence through a balanced commitment of quality design, personal service, on time delivery and exceptional project management. We have designed homes throughout North America, and have been featured in several recent publications, including Timber Home Living, Mountain Living, Cowboys & Indians, Log Cabin Homes, and Cabin Life magazines. John Hendricks originally went to the University of Southern California to be a screenwriter in 1983, but always had an interest in architecture. After summers helping a contractor build a home in Carmel and a cabin in the Sierra Nevada Mountains, John began architecture school at Texas Tech University. Upon graduation he made a roundabout path through California, Seattle and finally Sandpoint, Idaho, designing refined mountain style homes, whimsical Spanish haciendas, waterfront beach cottages, and rustic luxury ski lodges, among others. Though Hendricks Architecture still designs all of these, our specialty is a “rustic elegance” style of mountain architecture. In the words of one client, we design them "with an added bit of soul". Our mission is to provide unequaled service in creative architecture and land planning, which successfully gives form to our clients' vision and enriches the community. Home design done right. We incorporate our clients vision with the reality of efficient and cost effective construction, materials and practices. Our team offers consulting, design, structural engineering, site planning/design, septic, potable water and wells, and all of the behind the scenes permitting necessary to complete your project. Its not just a great design that get's you to the finish line, it's the complete package. We are two architects working in beautiful Sandpoint, Idaho. We specialize in residential & commercial architecture of all scales with an emphasis on 100% custom solutions for our clients. From the first phone call to the toast at the opening house party, we are there for our clients to ensure their vision is realized. Our staff is composed of Matt Kerr (Univ. of Idaho), residential architect and Eric Owens (WSU) residential architect with commercial experience. We purchased the firm from Jon Sayler after working with him for 10 years when he decided to retire. Specializing in new construction, large scale renovations, and kitchen and bath design, she has the education and knowledge to bring her clients vision to life. Using 3D AutoCAD software, Kris is able to develop construction drawings, elevations, and full color perspective renderings to help her clients visualize their project and be more confident in selections before construction has even begun. With more than 10 years of experience, Evan always knew he wanted to be an architect. Evan’s natural desire to solve problems through design show through on his passion for each project. Fusion Architecture is a Spokane/Coeur d'Alene area design firm specializing in custom residential, multi-family and small commercial projects. Rex is a Licensed Architect in Washington and Idaho and has been LEED accredited through the United States Green Building Council since 2004 in the specialty area of Building Design + Construction. Rex brings a strong design sense coupled with a unique ability to work with the builders and tradesman through the construction phase of my projects to make sure the design concept is carried through to completion. A Note from Rex: I would say my biggest design skill is my ability to listen and interpret the thoughts and ideas that my clients share with me. My designs incorporate a variety of raw materials; wood, steel and concrete to enhance the uniqueness of the projects I work on. We focus not only on working well with our clients through the design process, but also forming great relationships with the contractors and builders we work with to create a positive overall outcome. When it comes to residential design, we provide commitment, experience and dedication. We strive to create each custom home with sensitivity to its unique owner, site and surroundings. My name is Craig Swanson and I have been drafting Spokane house plans for several years. Actually, I do much more than just draft house plans for houses to be built in Spokane. If you have a project in mind, any building project, then you need a set of plans whether it be custom home plans, addition plans, shop plans, tool shed plans or deck plans. I draft plans for all these, and they are all that you need to get estimates, permits and the thing built. And you do not have to live or plan to build in Spokane given our wonderful worldwide web which has enabled me to work with clients living in other parts of the country whom I never had the privilege to meet in person. I have been drafting plans for custom homes and all other types of residential construction projects for many years. I also am a master house carpenter and experienced home builder. I thoroughly enjoy the process of designing a new home or shop or kitchen and have always found it very easy to work with all types of people. My years of hands on experience make me a good resource of information concerning the estimating and permitting and on construction of the new project that you are going to be starting. One thing I will say is that I believe what sets me apart from other drafting companies is that I have spent many years with my tool bags on learning exactly how to frame these projects that I design as well as how to put in the footings and foundations and install the cabinets and do the painting and tiling. Each year I do the general contracting on a custom home or two and maybe a remodel project. All this experience makes me a resource of information on all aspects of the upcoming project that you are searching the web looking for someone to draw up plans for. I can answer many questions about all phases of the building experience from planning to final occupancy permit, as well as provide my list of suppliers and sub-contractors that I have used for years and will treat you as they do me. Our holistic approach seamlessly integrates the design and construction processes - replicating the "master-builder" approach of the past. 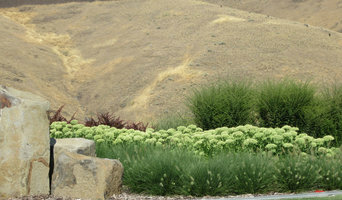 We have over 30 years of experience in Eastern Washington. How do I find the best Fairwood architect for my home design project? It is best to hire a home architect who will be involved in all phases of the design process, from the initial concept to the completed construction. The architect is often the first person you will hire for your project. If necessary, they might also help you select and hire Washington subcontractors, which can include the builders, engineers and landscaper. Interior architects are also involved in negotiating contracts for all involved participants. It is for these reasons that it is extremely important for you to have a good relationship with the Fairwood residential architect you hire. He or she can be the tie-breaking vote between you and the general contractor and can be your biggest advocate during the construction process. Different architecture firms in Fairwood, WA provide different services, so the scope of the work can span from pre-design environmental impact studies to selecting furniture and finishes, depending on what your specific needs are. It is very important to hire the right professional for the job. Remember that the most well-known or established designer might not provide the best architectural services for your needs. It all comes down to the individual project. Research and ask people whose work you like for recommendations. It's important to have somewhat of an idea of the style of house architecture that you prefer, as well as the amount you would like to spend. Residential architects in Fairwood, WA are natural problem solvers. They will assess the entire situation and help you to solve your problems too. Don't settle for a single company too early. Call and interview a few. Make sure that you feel like your personalities will mesh well and that you like their professional perspective. 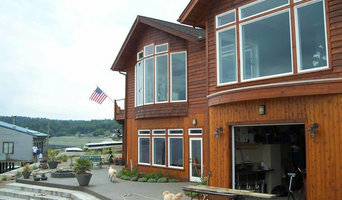 Find a home architect in Fairwood, WA on Houzz. Narrow your search in the Professionals section of the website to Fairwood architects. You may also look through photos of Washington projects to find interior architects and building designers who have worked on a project similar to yours.